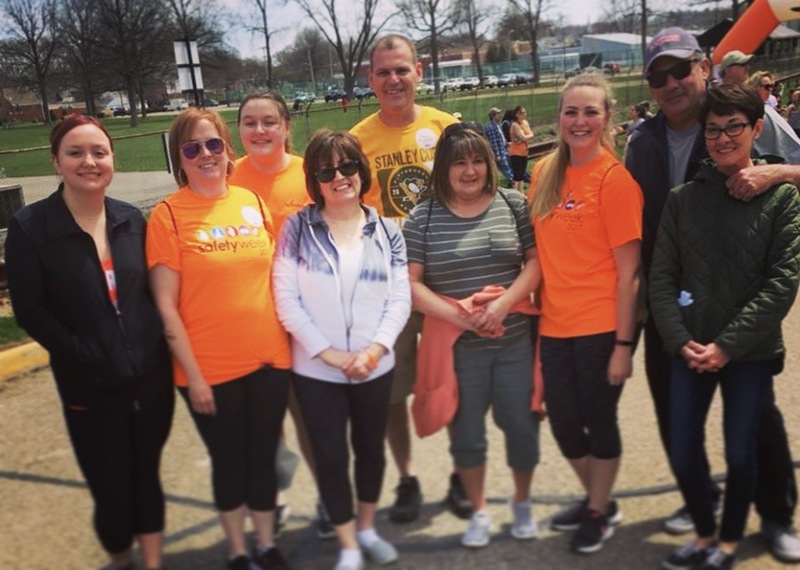 Grunau Pittsburgh Team Walks for MS | Grunau Company, Inc.
Pittsburgh Grunau Fire Protection group walked for Multiple Sclerosis during Walk MS Beaver 2018. 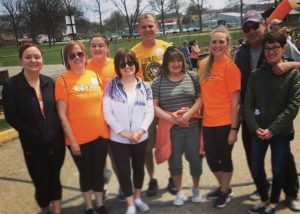 Grunau Employees and their families participated in the Walk MS 5K event at Beaver High School in Beaver, PA on April 22, 2018. This is the third year that the group has participated. The groups fundraising efforts go toward services and research aimed to help people affected by Multiple Sclerosis. Multiple Sclerosis is a chronic and unpredictable disease of the central nervous system. The disease causes loss of balance, lack of coordination, blurred vision, confusion tremors, slurred speech and more. Worldwide, over 2.3 million people are afflicted with the disease. It can affect anyone, though women are two to three times more likely to have Multiple Sclerosis than men. Many people are diagnosed between 20 and 50 years old. It is imperative to start taking medicine for Multiple Sclerosis as soon as possible after a diagnosis to reduce frequency and severity of the disease. Walk MS fundraises for research and services for those afflicted with MS. Since its inception in 1988,the walk has raised over $1 billion. Breakthroughs in therapy, medicine and technology have occurred in part due to the funding the researchers receive from the National Multiple Sclerosis Society, the parent organization of Walk MS. The participants included Emily Hunter, Renee Hunter, Molly Shrum, Donna Slaney, Jim Flook, Joni Flook, Audrey Miller, Randy Rubesa, and Sue Rubesa. Next year the team looks to increase the number of participants and raise more money to donate to the organization. Employees interested can contact the walk captain, Audrey Miller.